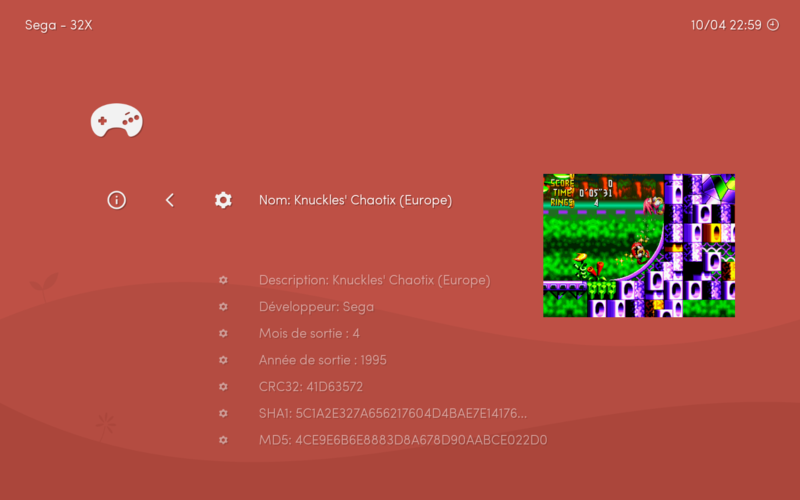 Below: An in-game snapshot displayed with a Sega - 32X playlist. Option A: Download those packs to a host PC and then copy the contents of the pack into your Lakka system’s Thumbnails directory. Once your Thumbnail files are in place, go to Menu Settings, and change the Thumbnails option to reflect the type of thumbnail you prefer to display. Note: The Thumbnails directory is configurable. If you prefer to store the thumbnails in another location, you can change the Thumbnails Dir setting in the Directory Settings.